We help families in Goole and the surrounding area to give their children the best start in life. Volunteers support parents by doing things together – e.g. shopping, going to Parent & Toddler group, getting on top of housework, playing with the children, going to clinic, finding benefits advice, etc – and also lots of listening and encouragement. Getting to know each other and having a laugh together is good medicine! 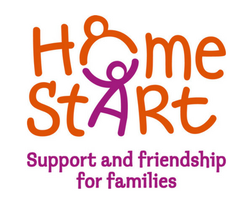 Home-Start responds to each family’s needs through a combination of home-visiting and social events. If you would like to read more about our activities, please download our Annual Reports.